Please don't leave without signing my guestbook - right at the very bottom of this page - to let me know you visited! ...for health, temperament, and longevity. Ch Yetholme Weenys Disciple ('Disco'), born in 1992. Yetholme Celtic Drums whose pic is above (top). guest book. Please call again soon. sign the guestbook. Many of the comments are truly beautiful. Comments : Just thought I'd say hi to everyone. Interested in getting a Yorkie puppy for my brother so I'm doing a bit of research. Comments : We've loved a previous 2 Yorkists so are looking forward to welcoming our new pup into the family. Comments : Beautiful dogs and good information. Thank you for sharing your knowledge. Comments : Thank you so much for all your help. Can't wait for my puppy!!! Comments : Just read the story of Charli and Moira, how absolutely beautiful and tear jerking. I know how she felt as we lost our 15 year chihuahua just before last Christmas at the age of 15 years, also to renal failure. 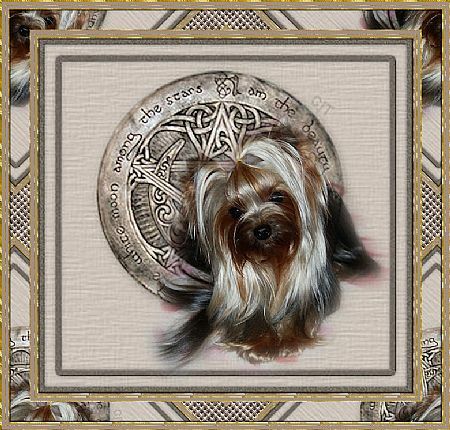 I very much want a "Yorkie" and having read through Jan's website can only think of having a "yetholme" puppy. Comments : Migrated with my 3 Rascals from Namibia to Australia and was the hardest thing to be separated for 7 months from my boys. I have 1 Yorkie Bruce that is almost 14 yrs and proud father of 27 puppies in Namibia, 1 Pekingese Stoffel almost 9 years and then the baby of the house 1 Pekingese Frostie almost 7 years. 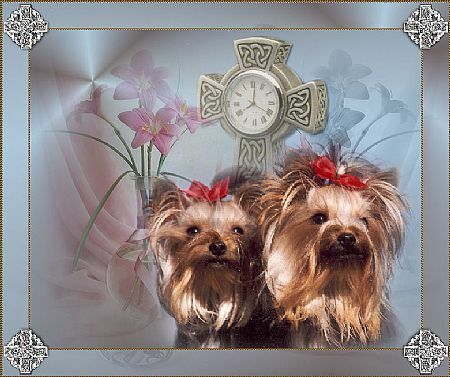 As they are getting older, I am already looking for an addition to the pack and hope that you will be able to help me getting that gorgeous little girlie yorkie to complete the family in this forever loving home, Our friends and family often comment that they would really like to be a dog in our house in their second life. Hiw can you not love your dogs if they give you so much everyday unconditionally. Thank you for your beautiful website. Comments : Have never seen such an amazing and comprehensive website of any dog breeder. You must be so proud of the effort you put in. We are going overseas on holiday later this year so will not be ready for a puppy until the new year but I will certainly be in touch when we are ready. Comments : Hello, I'm thinking that I would like a Yorkshire to live with me and my old cat...so I'm doing my puppy dog research to gain some background. I have previously had two other female dogs that both found me and both stayed for over sixteen years. Comments : We recently lost our darling 17 year old yorkie Katie. We are going overseas July and again February 2018 . We will be looking for yorkie 3yrs plus. Comments : just popped by to say hi. Still missing my boy Milo dreadfully, like a piece of my heart is missing. Just wanted to admire some beautiful little faces and knew I could rely on your pictures to cheer me up! Loving the pics of the new babies, congrats to all!